Drizzle with maple syrup for the perfrect for breakfast or enjoy as a healthy snack. Cream the butter and sugar and add mashed strawberries and oats. Add eggs one at a time and mix well. Sift the flour and baking powder into a large bowl, then gently fold through strawberry mixture. Pour into a greased (21cm x 6.5cm x 9cm) loaf pan then place in the preheated oven. Bake for 50 minutes or until a skewer inserted comes away clean. Allow to cool on a wire rack, then slice and serve. 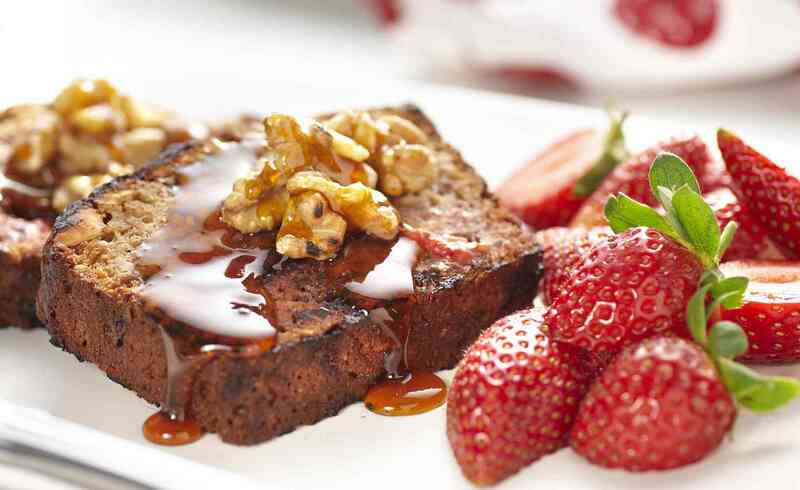 For a great breakfast option, toast thick slices of the strawberry loaf. Panfry walnuts lightly in butter, then spoon over toast with a drizzle of maple syrup and extra berries.